This kit is based on an existing New Jersey Fire Tower near Pennsauken. 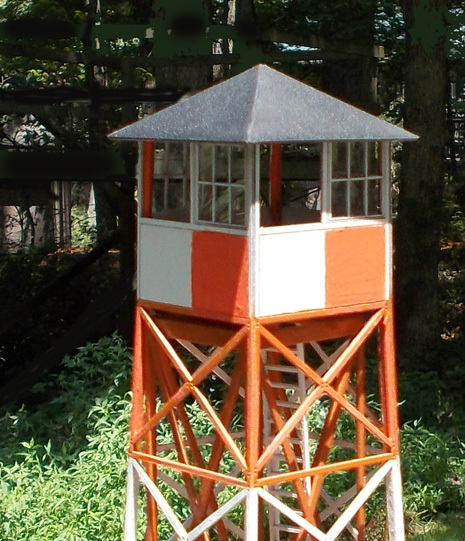 Even though the Fire Tower is extremely detailed, this kit requires only moderate skills to build. Footprint: Base, 2" square, Height, 10"
Completely Laser Cut Birch and Basswood. Only Moderate Skills are Required. The Roof is Removable, and the Flooring is Scribed.